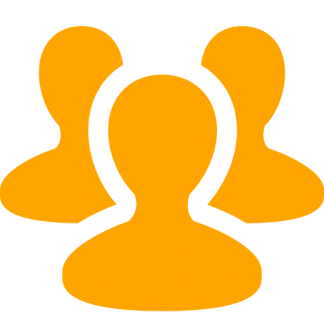 Benefit from the copyrighted explanations developed from years of experience. Small quantities available at bulk-purchase costs. 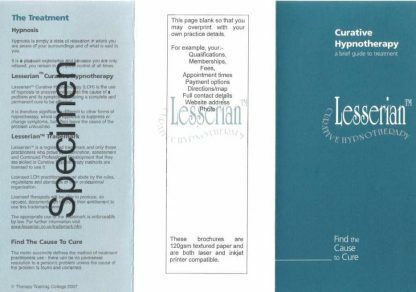 The practice brochure is for licensed LCH practitioners to use for the promotion of their own practice/business. 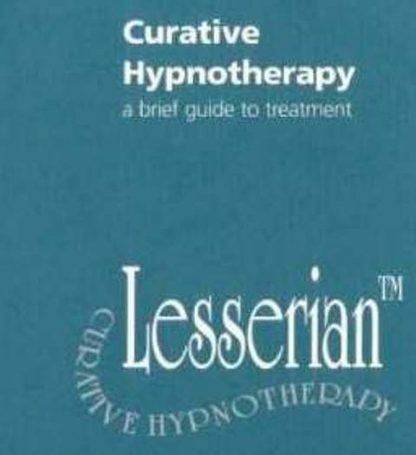 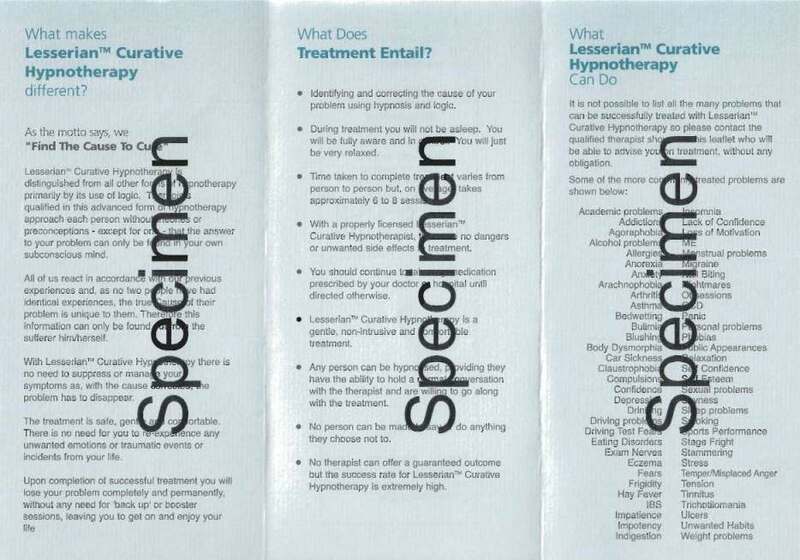 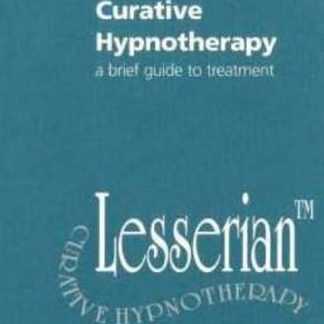 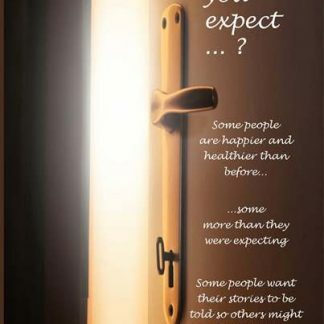 A picture of this brochure is shown, and you will see that it explains what the Lesserian™ trademark/name represents; assuring the potential patient of your commitment to providing the highest standards of treatment. 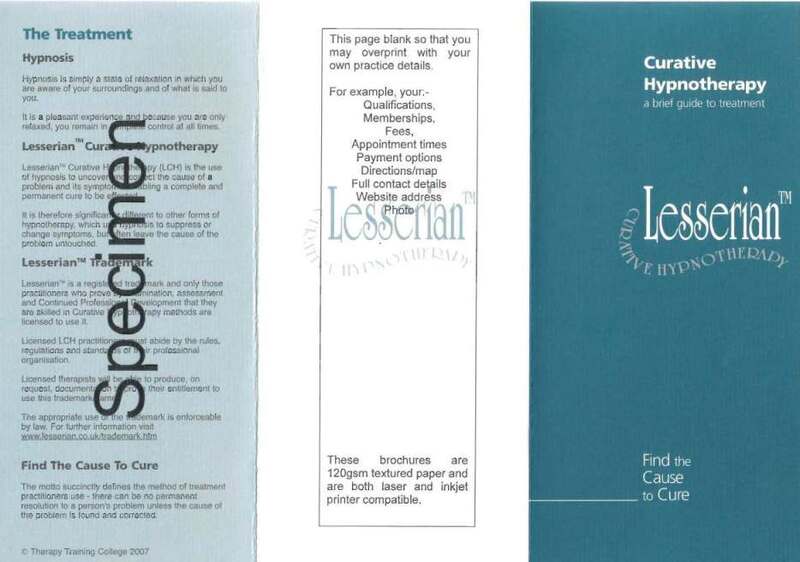 There is a watermarked, blank page so that you can overprint your own details from your computer (both inkjet and laser printers). 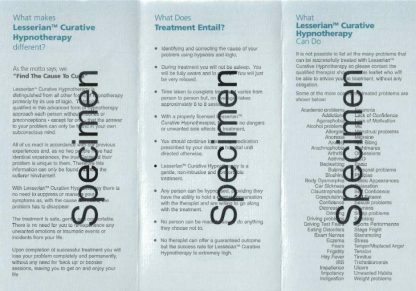 The inside of the brochure provides a clear and simple explanation of the treatment and the kind of problems/conditions you can deal with. 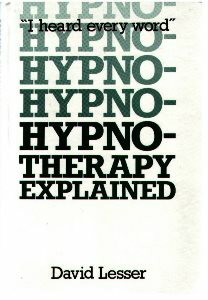 Costs for quantities and for Post & Packing are shown on the order form.